Hello sunshine’s! I hope that everything is alright with you all! Today I have a recipe for you. And this is not just a recipe. This is a recipe for the best chocolate cake! And probably you’re now thinking why is this the best chocolate cake recipe? So let me tell you this my brother is one of the most difficult persons when it’s about eating… It’s never good enough for him… But the first time he has tasted from this cake he was sold. So if my brother and the rest of my family loved this cake… Then I’m pretty sure you’re also going to love it! And the best part about it is that this is an easy recipe. 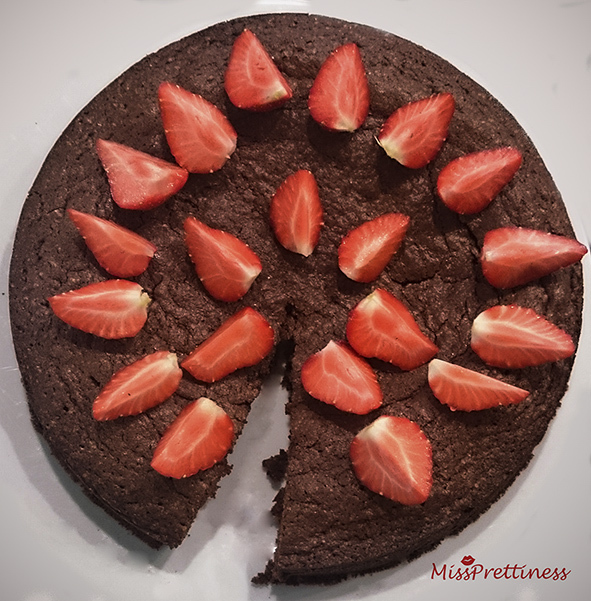 How to make this delicious chocolate cake? Then melt the butter with the chocolate. Whip the egg white with the sugar. After this you add this with the chocolate mix. Then you add the bloom and the vanilla sucker and blend well! Now you dough is ready. So the only thing you have to do is to grease your baking form. Finally put the dough in the oven for about 45 minutes at 175°C. Outfit: Hey how let’s go! Hehe, dat is ook gewoon een heerlijke combinatie!